The February 2015 meeting of the Paducah Amateur Radio Association has come and gone with another good turnout of 24 attendees. Remember the club meets the 2nd Monday of every month at the Emerging Technology Center Building of the West Kentucky Community and Technical College. We meet at 7 PM in room 140. There are a couple of good hamfests coming up. 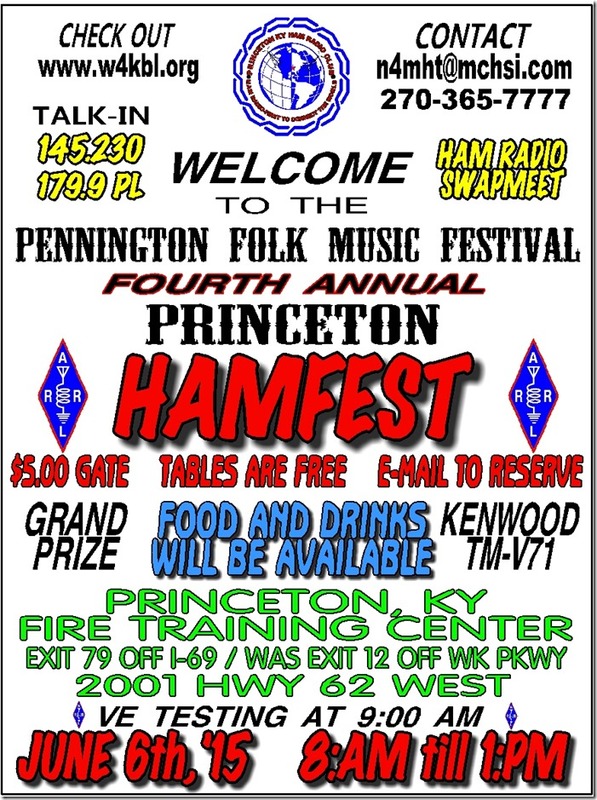 The fourth annual Princeton Hamfest is June 6th, 2015 at the Fire Training Center in Princeton, KY. For more information click the image below. 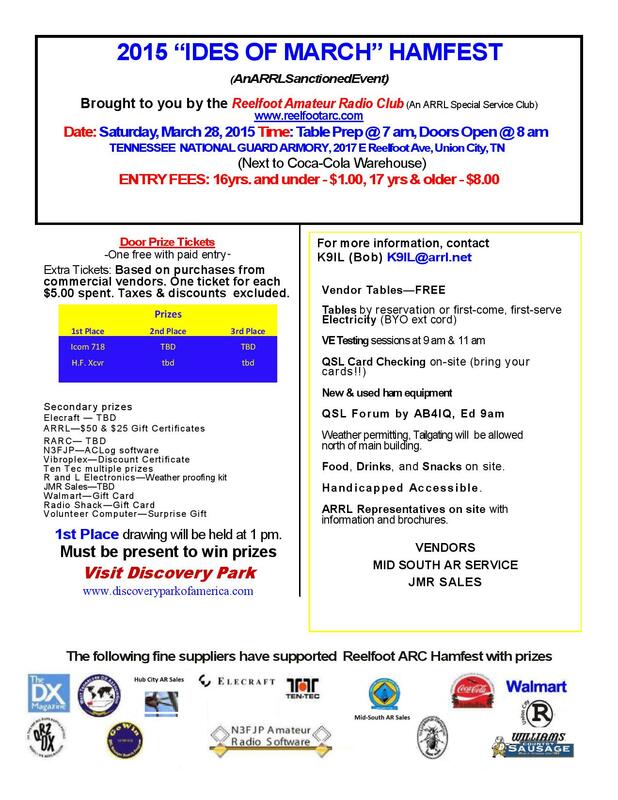 Another good hamfest coming up is the 2015 “Ides of March” hamfest at the Tennessee National Guard Armory in Union City, Tennessee. For more information click the image below. Bruce KS4V gave a great presentation on the use of Anderson Power Poles. For more information on Power Poles watch the video below or visit the Powerwerks website.